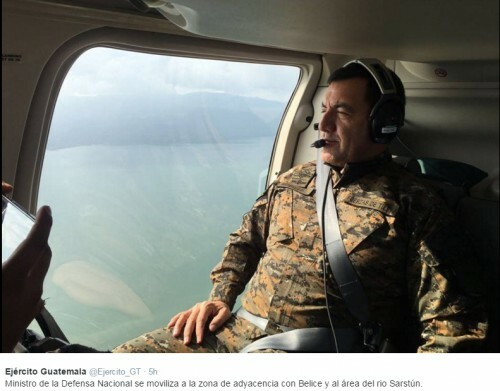 Meanwhile, Guatemala’s Defence Ministry released photos of its minister patrolling the Sarstoon boundary today, and yesterday the Guatemalan military publicized its military deployments to the Belize border by posting several photos on social media. 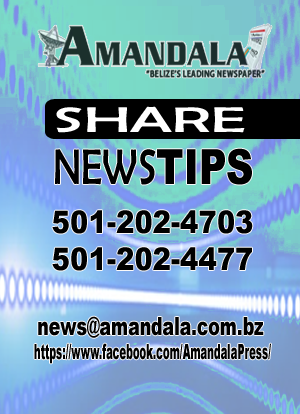 Belize has described the content and tone of a message delivered Wednesday by Guatemala’s president Jimmy Morales as inflammatory, and the widely circulated video, which went viral on social media soon after its release, has prompted widespread adverse reaction from people on both sides of the border. 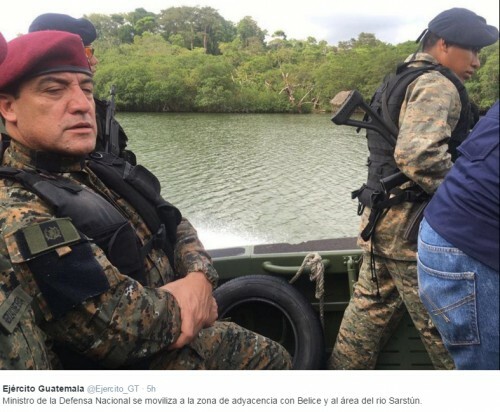 Guatemala’s Defence Minister, Williams Mansilla, was photographed on the Sarstoon River on Friday, after Guatemala deployed additional troops to that area only a day after Belize opened its Joint Forces Operating Base on the northern bank of the river to police illegal fishing, logging, camping and other such activities in the area. 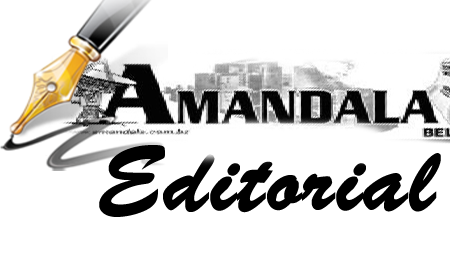 According to the Government of Belize, the minor who was killed on Wednesday inside the Chiquibul National Park had been shot after the Belize Defence Force, on law enforcement patrol on the Belize side of the border, came under fire. 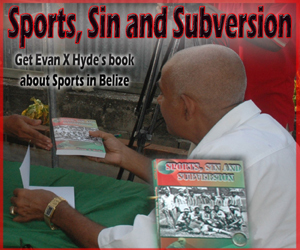 The Belize soldiers responded in self-defense, the Belize Government said. 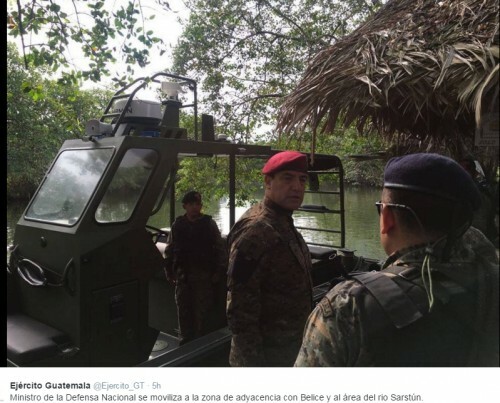 Guatemala has recently rejected an 11-point proposal for peacekeeping at the Sarstoon River, in the face of escalating tensions over Belize’s use of the river. Belize’s boundary with Guatemala at that point runs at the mid-channel point but Guatemala has taken a hard-line stance that the entire river belongs to it. That country purports to have repudiated the 1859 Boundary Treaty it had inked with Britain, which shows the boundary line running south of Sarstoon Island. 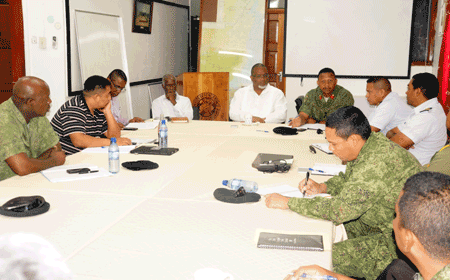 Belize security officials were meeting Friday to discuss the latest developments on the border. “With the conclusion of the meeting this morning between Minister of National Security Hon. John Saldivar and the senior command of our security forces, all security forces have been placed on high alert and a short term strategy has been devised to deal with further possible incidents along the border areas and in the Sarstoon,” an official National Security release said. The US State Department also issued a statement today, referring to Belize’s border as a “disputed area” and omitting to mention that Guatemala has aggressively amassed troops on the border with Belize. We are deeply concerned by reports today that a child was killed and two family members injured in the disputed area between Guatemala and Belize known as the Adjacency Zone. 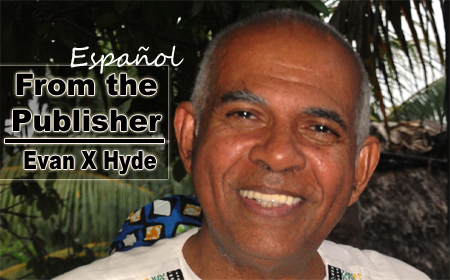 We express our deepest condolences to the family. We urge calm and restraint by both sides, and we call for a full investigation of the facts surrounding this tragedy. 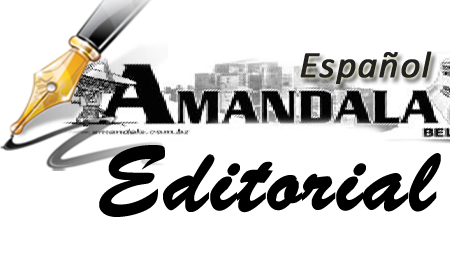 Finally, we encourage both countries to cooperate fully with the OAS Adjacency Zone Office and to continue engaging in the confidence building measures agreed upon in 2005. We reiterate our support for both countries to continue efforts to hold referenda on referring the territorial dispute to the International Court of Justice.